After a very busy couple of weeks I’m finally back to blogging! Since we last spoke I’ve had a wonderful Christmas and New Year with my family, finally booked our wedding venue, and worked A TON, but I’m glad to be back to having the time to actually post about what I’ve been making an eating. 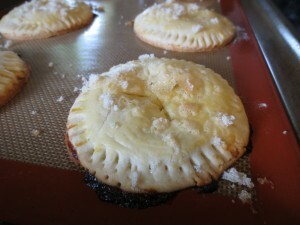 Today we’ve got lemon hand pies, mini flat pies that you can pick up and eat with your hands. 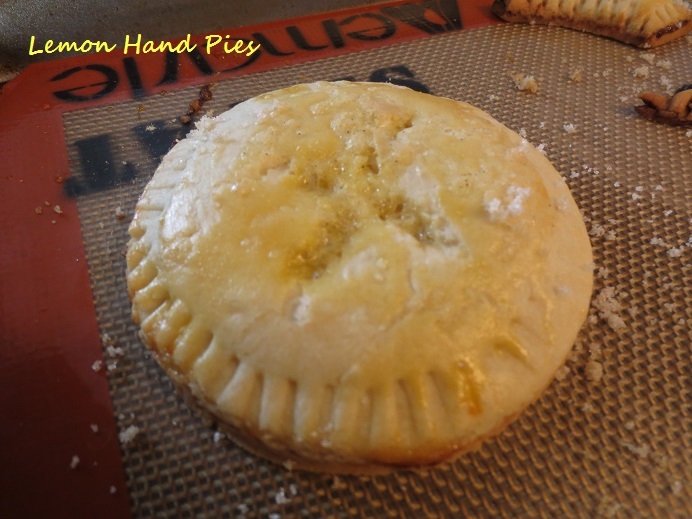 The great thing about hand pies is that you can make this as simple as you like; I made my own crust and home made lemon curd, but you don’t have to. Feel free to buy those frozen crusts that you can thaw and roll out, and you can even buy pre-made lemon curd. I will say that fresh lemon curd is a wonderful thing, though,and it’s super easy to make, so I hope you give my recipe a try. You can use any pie crust recipe that you like, but I like something a little sweeter than a normal pastry crust. You can find my favorite pie crust recipe HERE. The recipe for a very easy, very yummy lemon curd is below, with instructions on filling and baking your portable pies. P.S. You can make these with any number of different fillings! In a small saucepan, bring zest, juice, and sugar to a boil for about 5 minutes. Slowly add the beaten eggs and cook until thick. You'll end up with a few lumps, so put the mixture through a mesh siv for a smooth curd. Let it cool in the refrigerator for at least 30 minutes. Spread the lemon curd on the bottom pie crust, and then lay the top crust over it. Use a two inch cutter to cut out your pies. 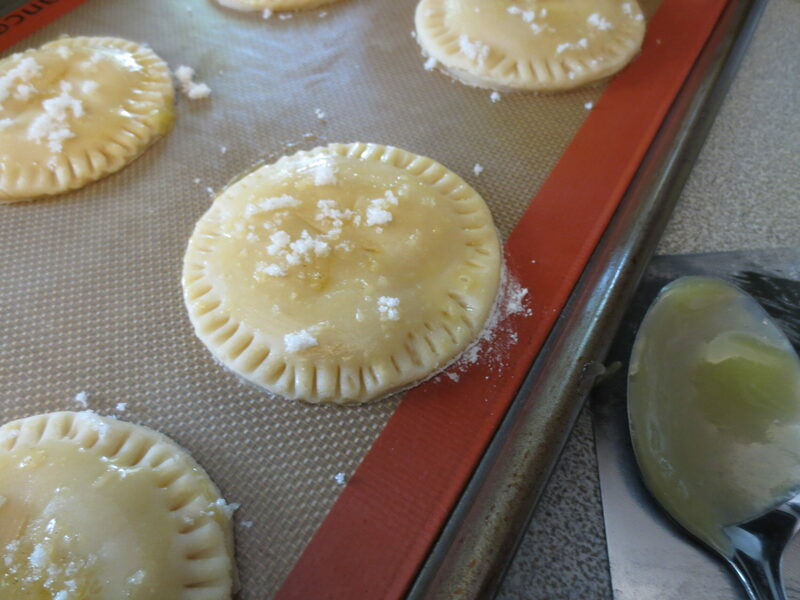 Using a bench scraper, lift pies and put them onto a lined baking sheet. Press edges closed with a fork, and cut slits in the tops. Brush with egg wash, and sprinkle sugar on top. Bake at 350 degrees for 12-15 minutes, or until golden on top. Enjoy!